Go to give.net, where you can give any amount between £1 and £1,000,000 using a credit or debit card from anywhere in the world. UK taxpayers can optionally increase the value of their donation by 25% by signifying that they wish to claim Gift Aid. Stewardship, who operate the give.net service, retain 3% of the value of each donation to cover their administration costs. They charge a 1% transaction fee on personal credit card payments (2% for business cards); debit card payments are free. Click the Donate button to make a donation to CCC using PayPal. Make an online donation to CCC from your CAF Charity Account at the Charities Aid Foundation's secure web site (enter CCC's registered charity number 1062205 in the Charity Name box and select Search charity number or keywords). Please send a Sterling cheque drawn on a UK bank, payable to Cambodian Communities out of Crisis, to the address below. Please send your voucher, payable to Cambodian Communities out of Crisis, to the address below. Contact us at the address below or by email to request a standing order form. Find out more about Gift Aid and other tax-efficient ways of giving. Make a Gift Aid declaration online or contact us at the address below or by email to request a Gift Aid form that you can use to authorise CCC to recover tax on your gift, increasing its value by 25%. You must be a United Kingdom taxpayer to use this facility. Payroll Giving offers a simple way to reduce the cost to you of making regular gifts to CCC. If your employer or company/personal pension provider runs a Payroll Giving Scheme, you simply authorise them to make the donation from your wages or pension before deducting any tax. There is an easy way for you to help raise funds for Cambodian Communities out of Crisis — simply by shopping online. Join easyfundraising and you can collect free donations for us every time you buy something online. It won't cost you a penny extra. You can make a big difference on everything from groceries to getaways. When you shop the easyfundraising way at any one of over 3,000 shops and sites they give us a commission for your purchase. The commission may only be a few pence, so is it worth it? Lots of supporters making lots of purchases each generating a small commission will soon add up to a substantial amount that can make a real difference to someone's life in Cambodia. So register today and remember: before you shop online, go to easyfundraising first. 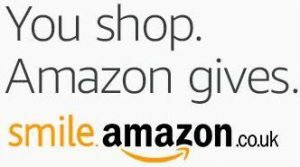 Amazon will donate 0.5% of the net purchase price (excluding VAT, returns and shipping fees) from your eligible AmazonSmile purchases made at smile.amazon.co.uk. Limited Companies can claim Corporation Tax relief on qualifying donations of money to CCC. Sole traders and partnerships can make Gift Aid donations in the same way as individuals..